hydraulic presses, triple effect hydraulic presses, die spotting presses, multi-slide hydraulic presses and electric presses. 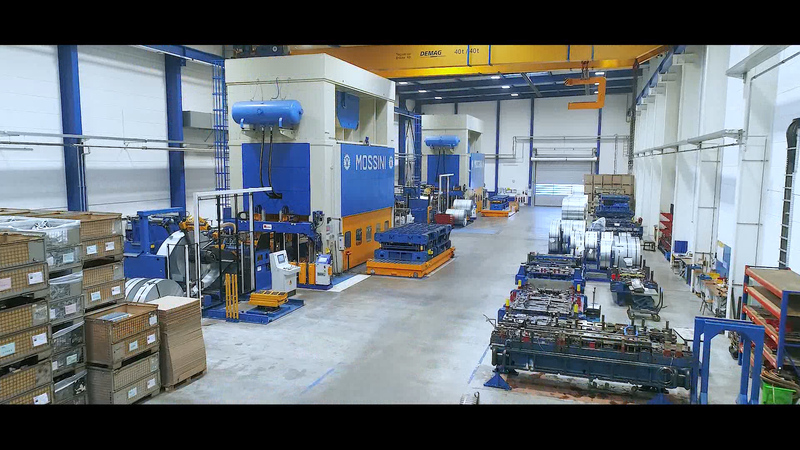 Presses and lines for hot forming, forging and rolling of rings complete the production of Mossini. Qualified staff, exclusively dedicated to the service, ensures proper operation of the Mossini plants, by minimizing any downtime. ll Mossini presses are equipped with a system of remote assistance. This makes it possible for an early first operation, carried out by specialized personnel, aimed at diagnosis and often the immediate solution of any problems. This implies the consequent reduction of the need for on-site service and downtime. Qualified technical staff, located in the core distribution of Mossini presses, ensures rapid and timely interventions at customer’ site. Mossini SpA, in addition to the management service of original spare parts, and in virtue of its experience, is able to provide a list of recommended spare parts for each plant. It can thus eliminate unnecessary, and sometimes lengthy, procurement times and minimize recovery time. Aware of the importance of preventive maintenance for the proper functioning of the installations and the reduction of the risk of sudden failures and consequent production stoppages, Mossini offers to its customers planned maintenance programs, functional to the type of installation. Mossini SpA organizes education and training courses for the use and maintenance of the installations at its facilities, or directly at customer’ site. The courses are customizable according to the needs and skills of the participants, are held by technical Mossini and provide all the knowledge necessary for the optimal use of the plants and the achievement of the prefixed objectives.